In this tutorial I will demonstrate how to connect to SOLIDWORKS application from out-of-process (a.k.a Stand-Alone) application (e.g. 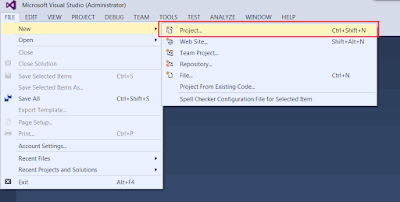 Windows Forms, Windows Console) using VB.NET and Microsoft Visual Studio. Add reference to SolidWorks Interop library. Interop libraries are located at SOLIDWORKS Installation Folder\api\redist\SolidWorks.Interop.sldworks.dll* for projects targeting Framework 4.0 onwards and SOLIDWORKS Installation Folder\api\redist*CLR2***SolidWorks.Interop.sldworks.dll* for projects targeting Framework 2.0 and 3.5. For projects targeting Framework 4.0 I recommend to set the Embed Interop Types option to false. Otherwise it is possible to have unpredictable behavior of the application when calling the SOLIDWORKS API due to a type cast issue. Probably the most common and quick way to connect to COM server is using the CreateObject method. Alternative methods are: Activator::CreateInstance and GetObject. 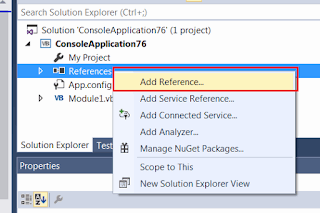 Note, that GetObject will create new instance if it cannot connect to the active session. 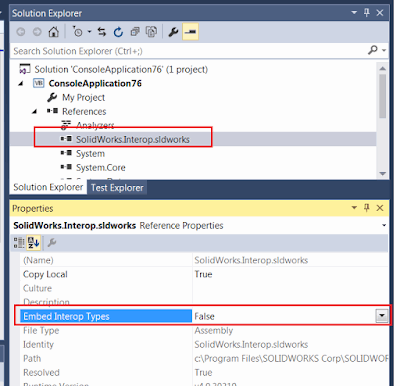 Const PROG_ID As String = "SldWorks.Application"
Construct the instance of the type from the type definition. This approach would allow better troubleshooting options in case of an error: if the first step failed it means that either COM class is not registered or cannot be accessed from the registry; otherwise this might indicate some permissions issues. Please read the Connect To SOLIDWORKS From Stand-Alone Application article for explanations of limitation of this approach. Alternatively you can connect to active (already started) session of SOLIDWORKS using the Marshal::GetActiveObject method. Unlike calling the GetObject, this approach will ensure that there will be no new instances of SOLIDWORKS created and will throw an exception if there is no running SOLIDWORKS session to connect to. Const SW_PATH As String = "C:\Program Files\SOLIDWORKS Corp\SOLIDWORKS\SLDWORKS.exe"